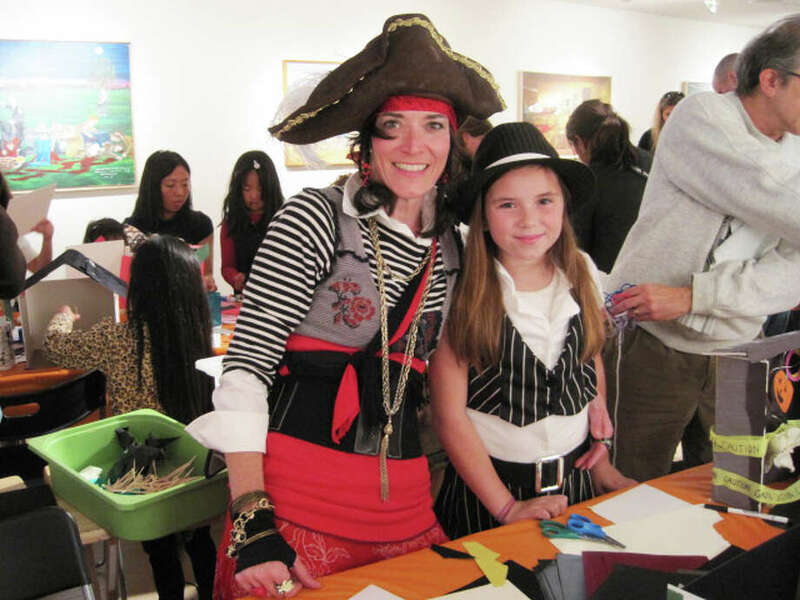 Wesport Arts Center Board Member Deirdre Price of Westport and her daughter, Gemma, 10, pose dressed as pirates during last year's WACky Family Day Costume Party. The Westport Arts Center will hold a family-friendly "WACky Halloween Costume Party" from 2 to 4 p.m. Sunday, Oct. 23, at the center, 51 Riverside Ave. Participants, encouraged to come in costume, will have an opportunity to make three-dimensional haunted houses and "WACky" Halloween hats and costumes. Activities are designed for children ages 2 to 12. Attendees will also have the opportunity to explore the current exhibition, "Love: In the Eye of the Beholder," coinciding with Westport Country Playhouse's production of Shakespeare's "Twelfth Night, or What you Will." Admission is $10 per child, free for adults and kids under 2. For information, call the center at 203-222-7070 or visit www.westportartscenter.org.